Are you loving infinity scarves right now?! I sure am! I love the look and I love how cozy it makes me feel. 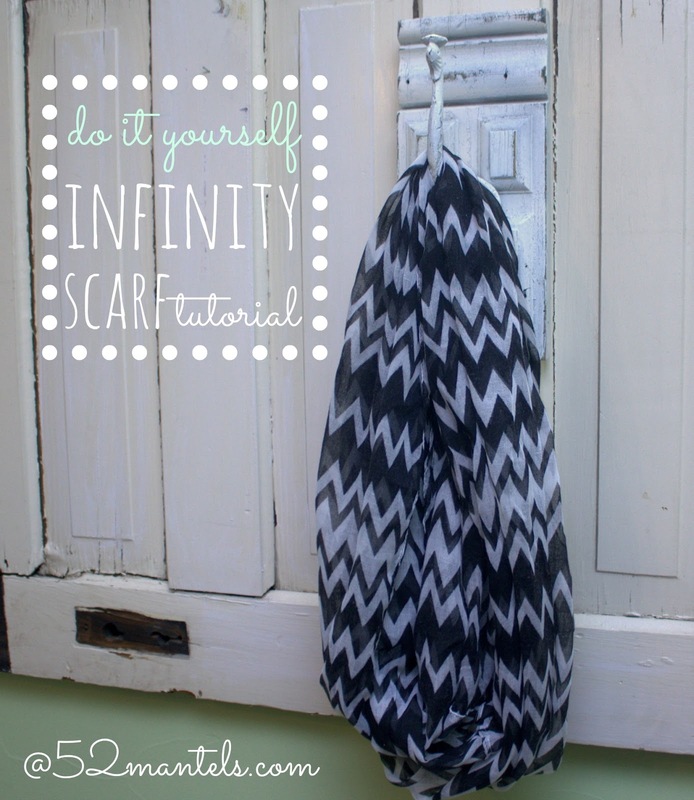 Today I have a 5 (maybe 10) minute tutorial for a DIY infinity scarf made from two inexpensive gauze scarves. I picked up these two black & white chevron scarves at Walmart for $2.48 (on clearance), but I've seen scarves of similar fabrics from Dollar Tree (you can see a fun green Dollar Tree scarf on last year's St. Patty's Day mantel!). 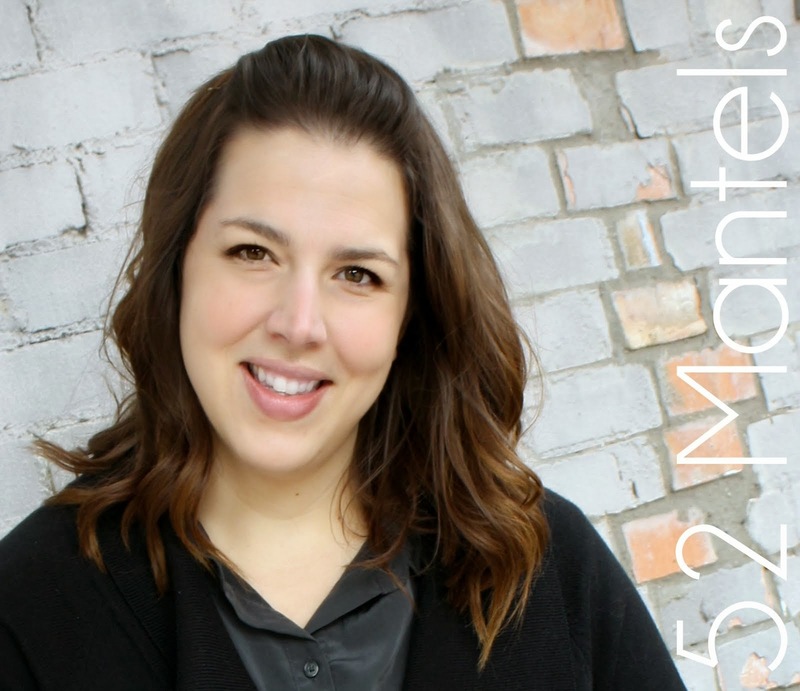 Combining my two normal-sized scarves made one lonnnnnng infinity scarf for $4.96! Step 2) Line up the scarves, end-to-end, and sew a straight stitch down the length. 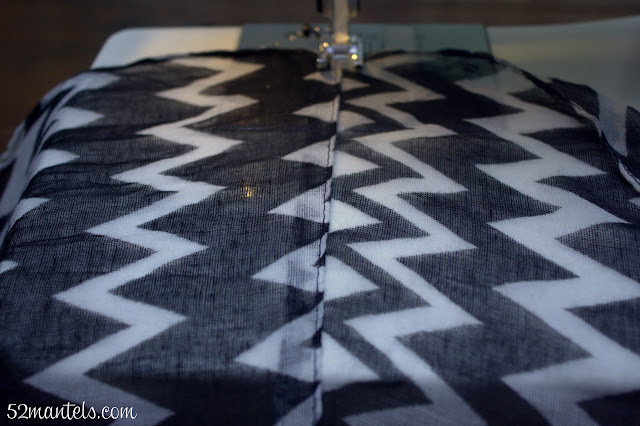 Use the finished seams as a guide to keep your stitch straight. Step 3) Line up the remaining two ends and repeat the process, making on long loop. Step 4) Wear and enjoy! You can wear your infinity scarf wrapped twice, three times or four times! Don't you love options?! So, what do you think? Doable? If this totally novice sewer (seamstress?) can do it, so can you! What a great idea! Thanks for the idea! Love this! 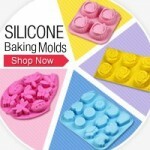 I so want to make one! 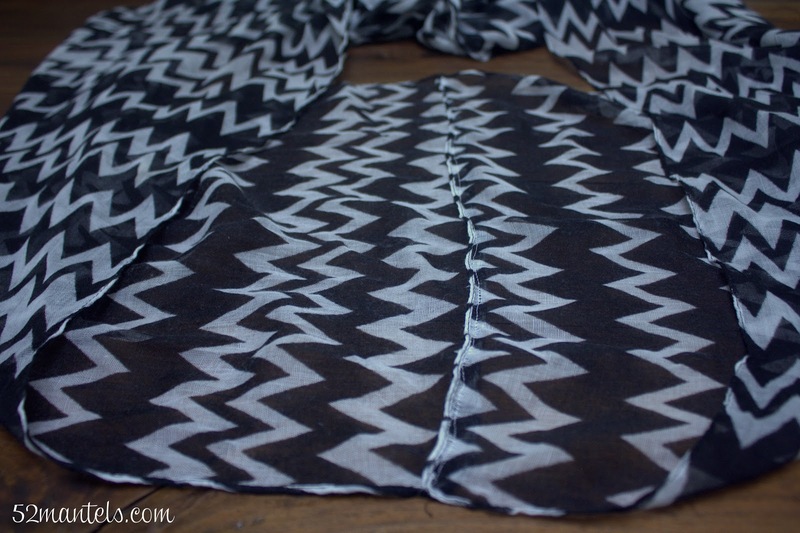 This scarf looks great! 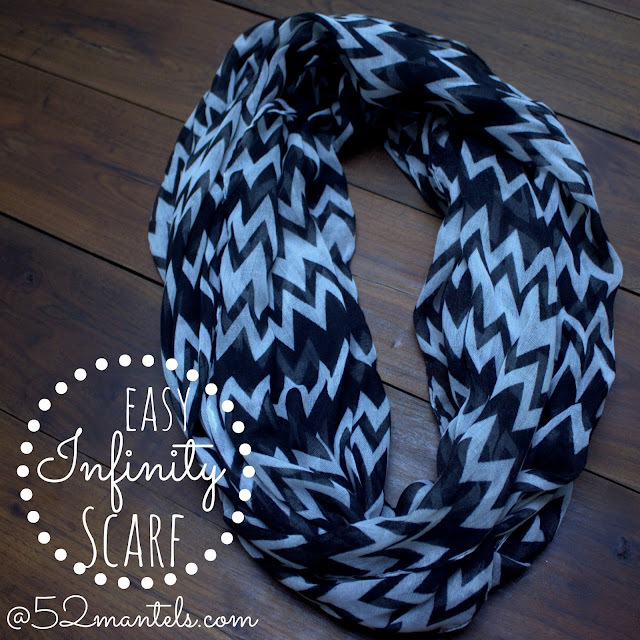 I love infinity scarves because they are so easy to wear. Great idea to make your own. How genious is this?? 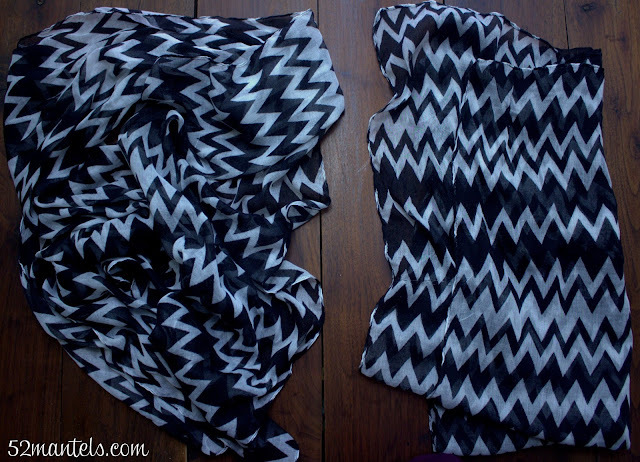 I have never thought of taking 2 inexpensive scarves and sewing them together :) Totally checking Walmart for these next time I'm there!! Thanks Em! I love how this turned out! Too cute! SO cute Emily! Hope you've been great! Thanks for sharing the tutorial; your scarf is so beautiful and very neat. 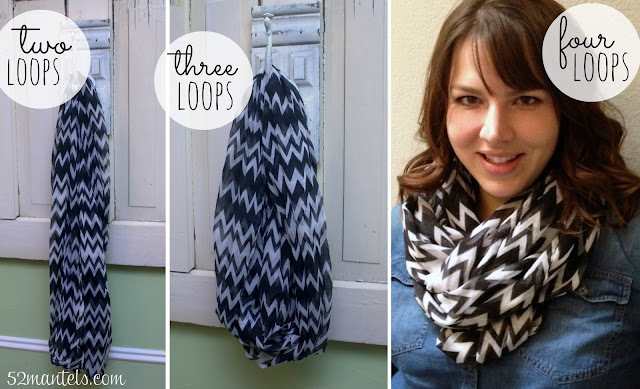 Combining 2 scarves is great and from that, we can have a long infinity scarf that we can loop in many times. I like your idea, thanks!